It’s silly isn’t it? We’ve been told growing up to eat our vegetables so that we can grow big and strong. At times, some of us even sent to bed without dessert for leaving broccoli on the plate. Yet, when we tell our friends and loved ones that we are becoming vegan they are in shock, horror, and bewilderment as to where we will get our nutrients, especially protein. Have you had this reaction? We are sure many of you have. We know the most common worries… protein. When it comes to protein, most people don’t even know how much they need in a day. They also don’t realize that protein is found in plants. 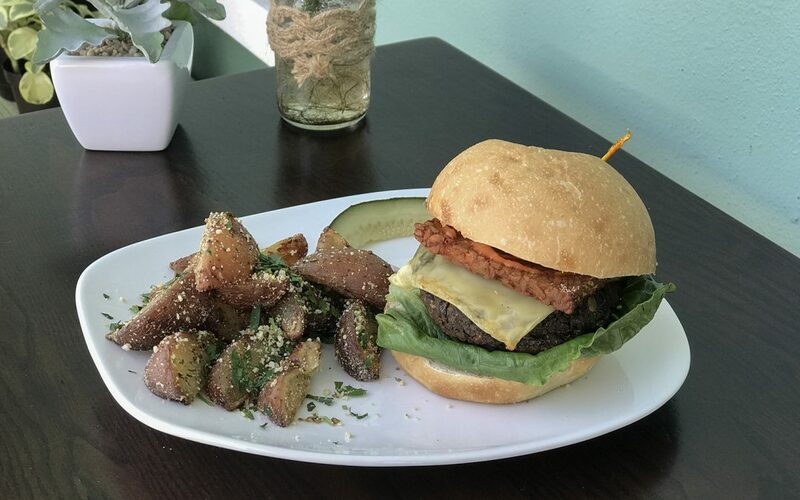 Black Bean Burger / House-made with black beans, mushrooms, veggies, seeds and grains topped with pickles, red onion, lettuce & special sauce served on a bun. Sub a side garden salad instead of chips! 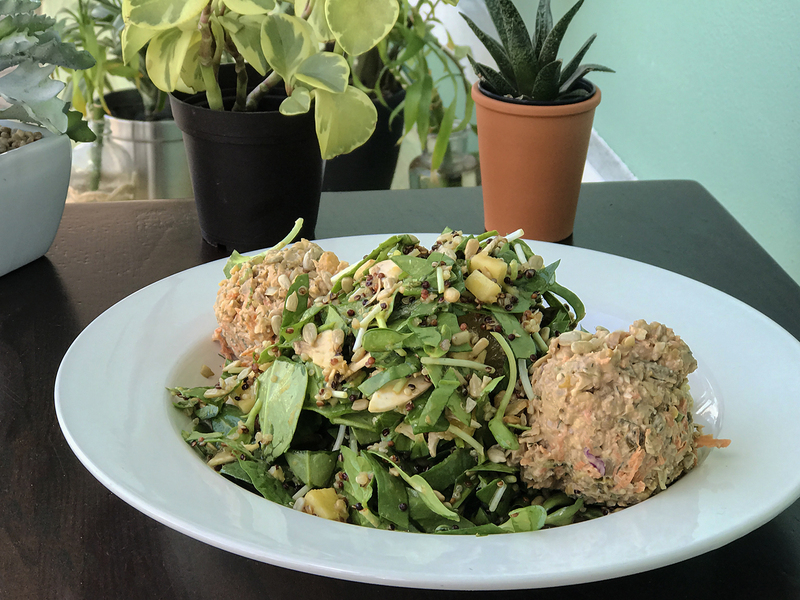 Rawsome Greens Salad with Black Bean Burger Patti / Sprouts, microgreens, lettuce, carrots, zoodles & sunflower seeds tossed with creamy lemon herb dressing. 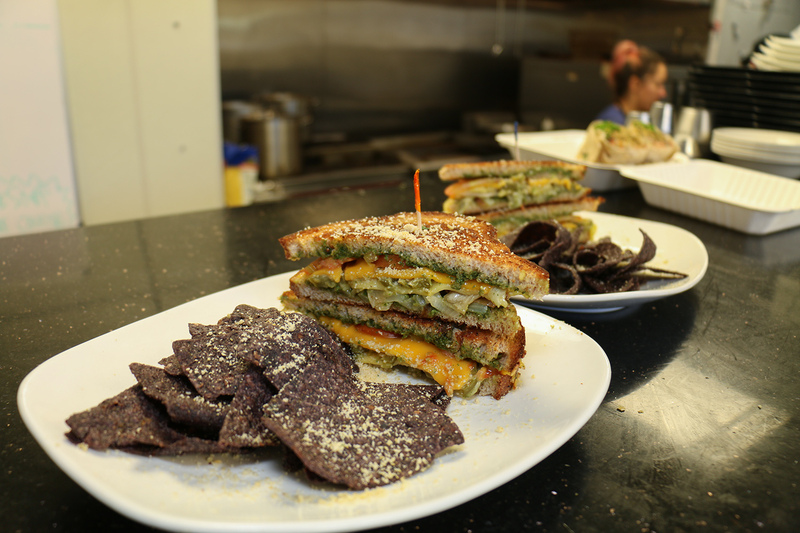 Ask your server to add a black bean burger patti on top! Sun Salad / Sun sprouts, corn, tomato & red onion sprinkled with house cashew parm tossed with cranberry pear vinaigrette. Spinach Sunflower Salad With Tuna Chick / Spinach, quinoa, mushroom, sun sprouts, orange, apple & sunflower seeds tossed with tomato citrus ginger dressing Ask your server to add our house-made tuna chick on top! We are proud to say that many non-vegans come into Fruits & Fruits daily. 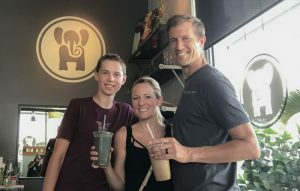 The most rewarding part of sharing compassionate, plant-based food is witnessing the change happen: seeing someone experience a satisfying, filling and delicious meal, realizing they feel great and not weighed down, with their bellies full of nutritious food. You have taken giant step toward good health. Hooray to you for making this decision and pushing through the negativity when you shared your new life with others! And you know what? When your family and friends see you begin to glow, don’t be surprised if they start to inquire more about precisely what you are eating!